Passed away with her family by her side on February 9, 2019 at 71 years of age. Beloved daughter of Rita and the late Larry Georgeff (1977). Frances will be sadly missed by her extended family and many dear friends. She was a retired teacher with the W.E.C.D.S. Board after many years of service. 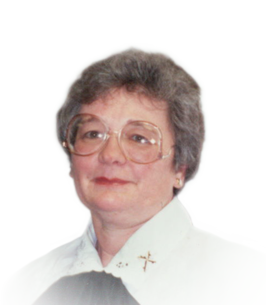 She was a founding member of the Associates of the Grand Rapids Dominican Sisters. Frances was involved with many charities and community organisations. Also, she was a past chairperson of the Assumption Parish Council. If you desire, donations to the Ontario Heart and Stroke Foundation would be appreciated by the family. Visitation Thursday, February 14, 2019 from 3-5 p.m. and 7-9 p.m. with Prayers at 4:30 p.m. at Families First 3260 Dougall Ave. South Windsor, 519-969-5841. On Friday, February 15, 2019 family and friends are invited to meet at Assumption Church - McEwan Campus (711 McEwan Ave) after 10:00 a.m. until time of Funeral Mass at 11:00 a.m. Procession to Assumption Cemetery.